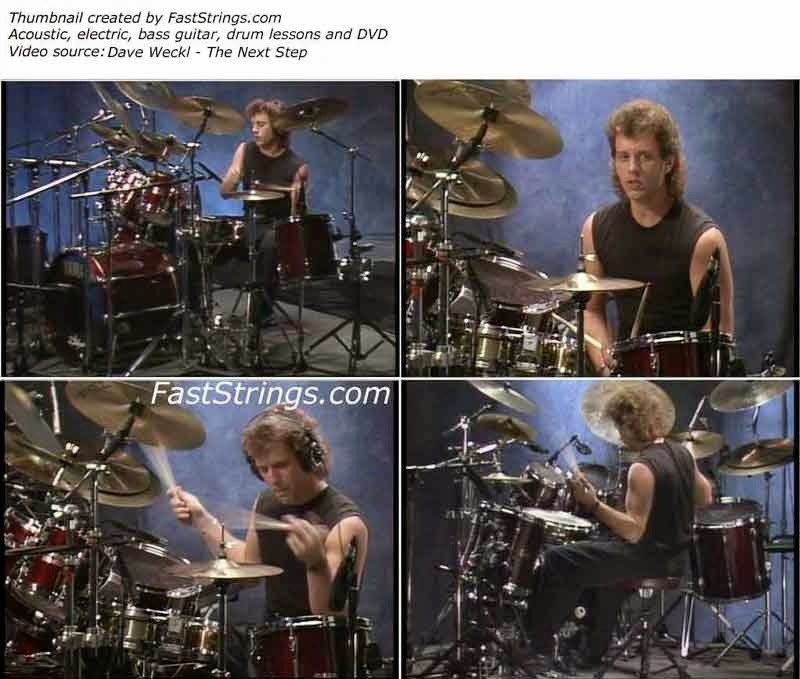 On this DVD, Dave concentrates on time playing, constructing a groove, beat displacement, cymbal technique, phrasing, creating a drum part, playing in odd times, and soloing. This video also features three performances of songs from Contemporary Drummers + One, a Latin groove, and some fantastic solos. This is a great instructional video. Dave is not an excellent teacher, but he is a very good one. His got amazing technique which he tries to pass on to you. A super one from Dave. This is one the best instructional video and is a must buy after his initial ‘Back to Basics’ video. It’s the answer to all those ‘How does he do that! ‘ queries and an essential tutorial for any drummer serious on progressing. Kudos to Dave for bringing out such wonderful learning material. His triplet exercises between the hands and feet are wonderful. When he does it up-tempo, you realize that that’s basically all he does while he solos: he goes in and out of triplets, sixteenths, and thirty-second notes. It’s still tough as hell, but at least we understand how he’s doing it. Most helpful, though, is his explanation of how to approach odd time signatures. Even advanced drummers typically can’t “feel” nine, seven, or five, and Weckl offers some great tips on how to think of them in a musical, half-time feel. Bonus video performances featuring Dave and Walfredo Reyes Sr.
Muchas gracias a todos los que hicieron posible esto.!!!!!! hello admin,impossible de telecharger dave weckl the next spet part 3,le serveur se reinitialise a chaque fois. Admin Is this DVD quality?